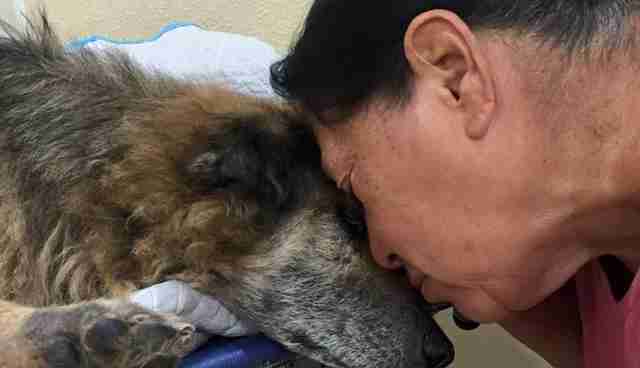 When a stray dog showed up at her door 17 years ago, Jesusita knew they were meant to grow old together. She named him Solovino, a Spanish word meaning "he came alone." And once Jesusita opened that door for him, he wouldn't leave her side - even as his steps began to falter. Climbing the steep stairs that led to their door in Echo Park, Los Angeles, had become an ordeal for the old dog. His bones ached from arthritis; other ailments that came with aging plagued his every step. Then, one day, Solovino could no longer take another step. It was time, at last, for Solovino to leave her side. "We got a call on our hotline from the owner saying that she had a 17-year-old dog and needed help with humane euthanasia and transport," Kerry Armstrong, founder of Home Dog LA, tells The Dodo. It was the kind of call Home Dogs LA was founded to take - the call the group hopes people will make before they consider an animal shelter. A big reason why people surrender their pets to a shelter is because they feel they can no longer care for them. Maybe a cat is sick. Maybe, like Solovino, a dog has become too old and infirm. In any case, the real problem is financial hardship - and it leads some people to make crushing decisions. "Many people love their animals and don't want to see them suffer at the end of their life or at the end of a terminal illness, but they do not have the means to pay for euthanasia at a vet," Armstrong explains. "Sometimes they try to bring their animals to the shelter because they think they have no other option." Last week, one of the group's members, Sandra Shadic, visited the modest home in central Los Angeles. 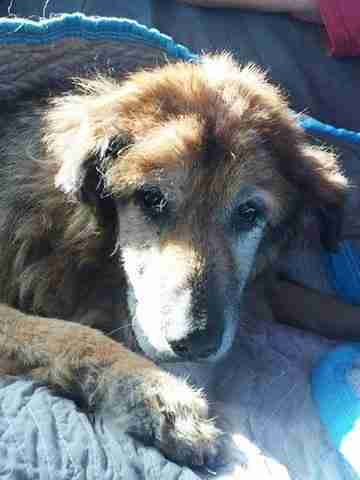 She took the old dog in her arms and walked out the door that had opened for him 17 years earlier. The trio enjoyed a hamburger together. 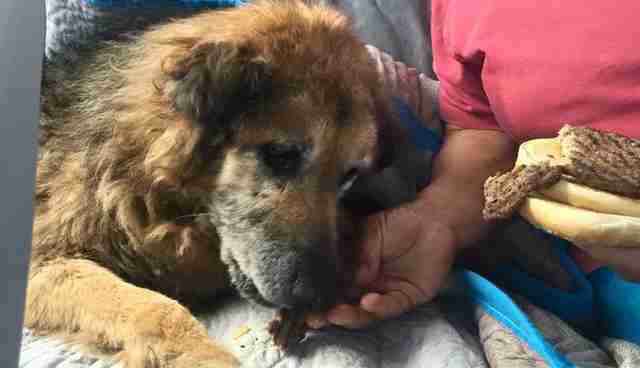 Then they drove to a local clinic, where Solovino was put to sleep. They were meant to grow old together. Jesusita and her dog Solovino needed just a little help to cross that finish line. Want to support Home Dog LA and its mission to keep people and pets together until the very end? Consider making a donation here.